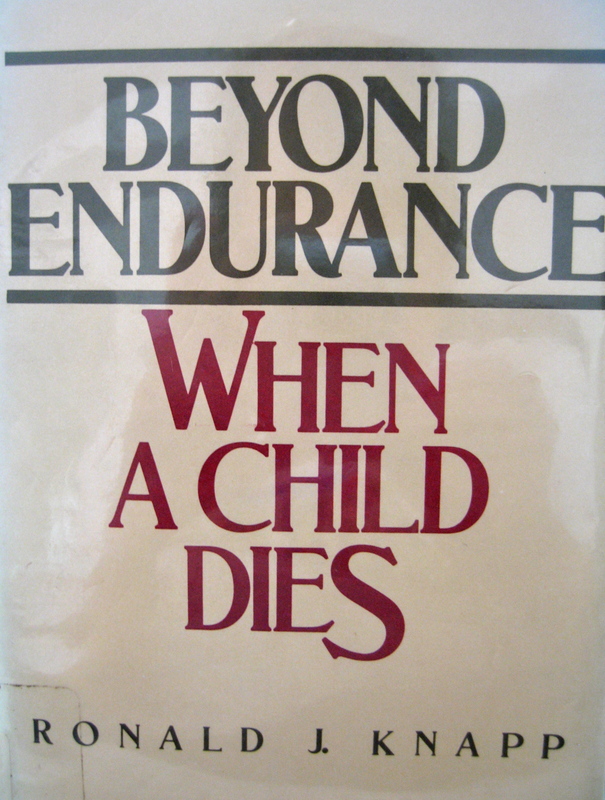 I recently checked out from our local library Beyond Endurance: When a Child Dies (1986 edition) by Ronald J. Knapp. (Beyond Endurance was updated in 2005 to include a chapter on internet resources.) Dr. Knapp was a professor of sociology at Clemson University, and also co-authored Motherhood and Mourning: Perinatal Death with Dr. Larry Peppers in 1980, covering losses from miscarriage to postnatal death. The jacket flap states that this book is “the first book based on empirical [information gained by observation] studies of the death of children.” Dr. Knapp had not lost a child, but based his findings on “an assessment and analysis of in-depth interviews with 155 families…who had suffered the loss of a child ranging in age from 1 to 28…three months to five years prior to the interviews” (xii). In some ways, this book reads like a research paper filled with heart. 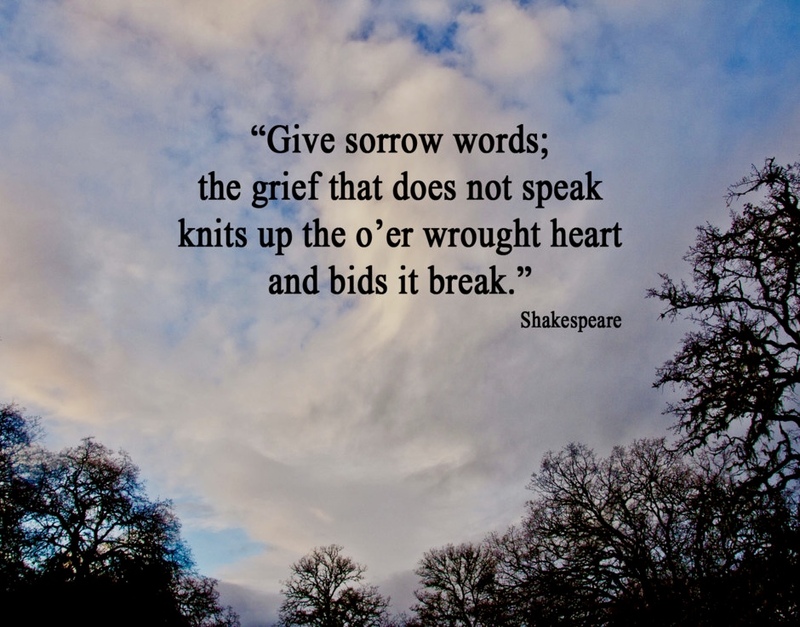 His goal is “to know better how to respond and how best to offer our help and assistance to families and parents undergoing the agony of losing a child (21).” Beyond Endurance offers suggestions to professionals, to those surrounding grievers, and to grieving parents. Dr. Knapp focuses on three types of child death – from a long illness, sudden death, and murdered children – and devotes a specific chapter to each (including comments on his observations of the differences between the specific types of losses). He also notes common patterns he observed in the bereaved parents, including the fear that memories will fade away and the inability to find a context for understanding the death of a child. It was interesting to read Dr. Knapp’s assessment that “in the case of death after a long illness, parents were more successful in their attempt to describe and work through consequences of their loss.” He found that parents who lost a child after a long illness had already gone through the initial stages of shock and denial, and had experienced an anticipatory mourning; therefore, they were better able to vocalize their experience and feelings in talking about their child’s death. The parents felt they had a chance to prepare, to wrap up loose ends, and to say goodbye. Dr. Knapp found that parents whose child had died suddenly (including suicide and murder) had “difficulty responding” when asked to describe their emotions and experiences. “It was as if they were forced to relive those scenes again (70).” He found that family members could clearly and accurately describe the reactions of other family members, yet were unable to put into words or sometimes even remember their own reactions immediately following a child’s death (72). “Apparently the mind has a way of protecting the self from too harsh a reality. We all have the ability…to reject something that is too threatening to our system to absorb all at once (71).” Parents whose children were murdered had the additional horror of the crime being intentional. The chapter on “The Family in Crisis” covers how availability of internal and external resources can help the family…and how lack of them can be a detriment or cause additional stress. 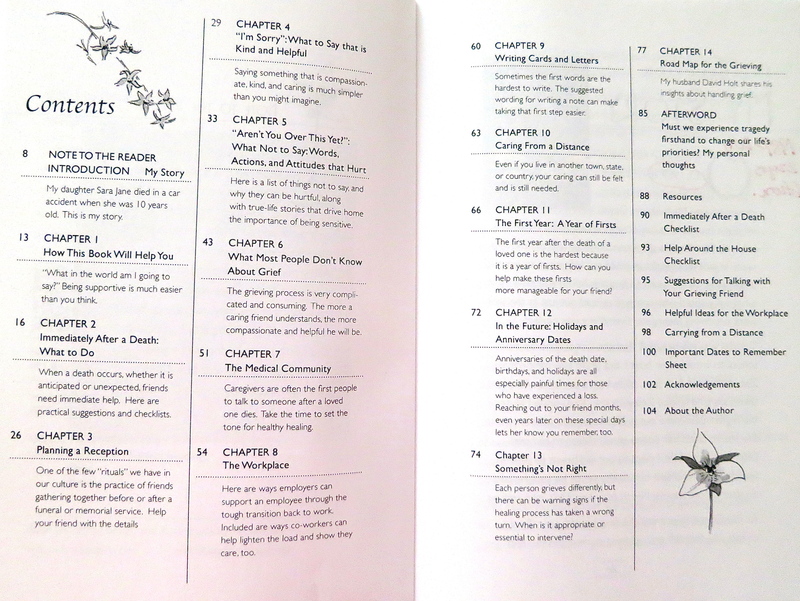 The chapter entitled “Some Special Problems” deals with topics such as lack of community support, the child’s empty room, and special days. Both chapters contain good, practical suggestions. “Of course it is easier to do this if one has help and support from the community of friends who surround the individual. This tends to remove feelings of isolation and leaves parents with the impression that the death of their child was an event that mattered in the eyes of others as well. Dr. Knapp then personalizes the question “How do I respond to this? Can I help? Can you help? Can anyone help? (emphasis his) (187)”, giving excellent suggestions in the chapter to both supporters (external support) and grievers (internal support). He addresses the question of why the family can’t help or give adequate support from each other (“We cannot expect one crippled person to pick up and carry another [crippled person] (191).”) He also addresses the necessity of continued support (“The sharing of grief with other human beings who are there, willingly giving of themselves, has enormous therapeutic value (192).”), and why the lack of support causes grievers to turn inward and feel isolated/alone. Dr. Knapp encourages “participatory grievers” (those most intimate friends) to “break down the walls of resistance that many families throw up to protect themselves from the insensitivities of others…As true helpers, we should be there as their safe havens. And most important, we should be there for as long as it takes, as long as there are needs to be met (192)”. Although it seems to me that “breaking down” walls of resistance might come across as a bit heavy-handed to a grieving parent (perhaps a more gentle and kind approach would work better), there is no doubt in my mind that support makes all the difference in the world. Overall, I would recommend this book. 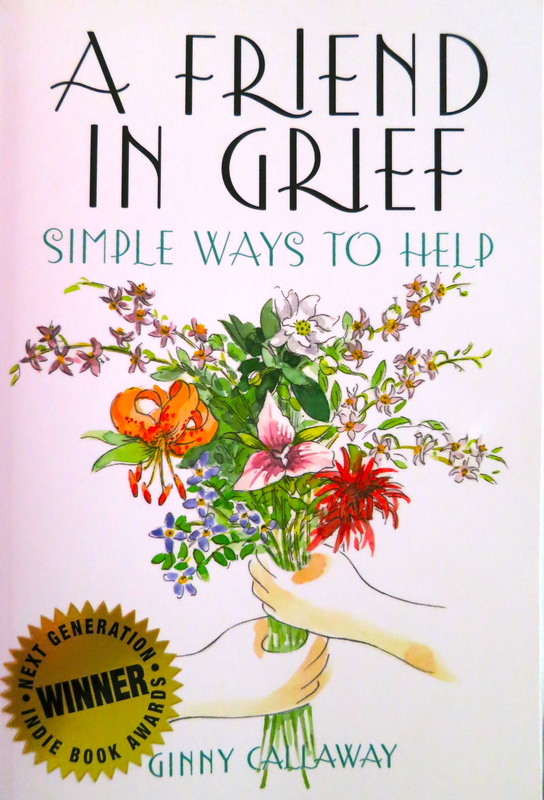 I think anyone – professionals, those surrounding grievers, and grieving parents – would find helpful information here. Probably my only wish was that his sample size had been a little larger (although each group leader from which his interviewees were pulled felt like a good/accurate cross-section of participants was represented), and that his research had been from all sections of the country (his interviews of “white, generally middle-class Americans (28)” took place in the southeast). I’m sure time and financial constraints made both of these difficult. However, Dr. Knapp does feel that the group is accurately “representative of the ‘typical’ American family (28).” As always, one must filter out what applies to his or her own specific situation. There is no one shoe that fits all, but it bears mentioning that I made so many notes while reading this book that I bought the updated version to re-read and for reference. I don’t know about you, but when I read a book written by a bereaved parent concerning the death of his or her child, one of the first things I do is try to figure out the distance of time between the loss and the writing of the book. I think it’s an important factor to take into account. How long did it take this particular author to reach a place where s/he could talk about the loss or to reach the point where s/he felt s/he had something to say? How far into the journey of integrating the loss into life is this person? Has s/he walked along the path of grief long enough that this person might have something valid to speak into my life? I recently finished the book The Lively Shadow by Donald M. Murray, written concerning the death of his middle daughter, Lee, from Reyes syndrome in 1977. It took Mr. Murray 25 years to reach the point where he could write the story of his daughter’s death – even though he was an accomplished author, Pulitzer Prize-winning columnist for the Boston Globe, and an English professor at the University of New Hampshire; even though both Lee’s doctor and his family agreed (six weeks after Lee’s death) that he needed to write the story of his journey; even though (to his horror) he felt like he was “a reporter to my daughter’s death” at the time and kept “recording external and internal specific details in my mind as if I would write this story (ix).” I find it extremely interesting and profound that it took 25 years for Mr. Murray to be able to put his words to paper in talking about his daughter’s death. Although Mr. Murray is an excellent writer, I have to admit it took me a little while to get into this book. At the beginning, it seemed to jump around a bit too much for my liking. Once I reached Chapter 5, though, I found Mr. Murray’s descriptive writing riveting as he recalls the beautiful summer day and general feeling of well-being on the day they received the call that their daughter was terribly sick. In continuing to tell the story, Mr. Murray puts into words what I’m sure many bereaved parents have felt. Lee’s death will be part of us forever. It will mark us forever. There will be healing as there is when a leg is amputated. We will become who we are: “the Murrays, who lost a daughter, you know.” And as we live this life, we will always feel the leg that others cannot see, that invisible leg I have heard amputees talk about that feels cold, pain, itches, lives on in memory. It will not get any better, and I feel a strange comfort in that. I will have to live this changed life as well as I can. There will be no healing, but I will become familiar with this new life, always having at my side the daughter no one else can see. I might even find it a comfort to know she will always be near (105). At times I have to sit for what seems a ridiculously long time to remember how to start the car, how to turn on the TV or stereo, eat dinner, answer the phone, keep the calendar, pay attention to what someone is saying…We pass each other in the house as if we are sleepwalking, not speaking as we all search for the way to live our lives around the edge of the crater left by Lee’s death (105). One of the personal and artistic problems is how to deal with emptiness…This morning [25 years later] I pass an empty field, rich with new spring grass, but see only its emptiness. Usually I take pleasure in the tidal flows of fields that seem to move under wind or shadow…And then there are days like today when the empty fields remind me of the space in my life empty by Lee’s leaving…I miss the casual conversations we have not had, the communication of gesture, glance, or movement, the anticipation of a visit or its memory…It is still achingly hard never to hear her voice from the other room, never to pick up the phone and talk to her (151). To those who wrote asking for help in getting over it, I gave this counsel: Imagine that you could forget. Think how terrible it would be not to dream, not to remember, not to miss, not to be sad, not live with this lively shadow that no one can see by your side, always alive in memory, laughing, teasing, worrying, suffering, sharing the life you go on living. Remembering may be a celebration or it may be a dagger in the heart, but it is better, far better, than forgetting (193). I think what I took away from reading this book is a confirmation of what I’m learning: it takes a long time to integrate the death of a child into the fabric of life; it takes a long time, even for an experienced writer, to talk about the depths to which a child’s death affects a parent; it’s only with extended time that we have the perspective to look back and say, “this is what I’ve learned from this experience,” because each year teaches us something new or reveals something that we may not have realized at that time as we were walking the grief path; and, it’s important that bereaved parents give voice to their experiences so that others will know they are not alone.